Dr. Elizabeth Gagnier is a family medicine practitioner who cares for patients of all ages, from birth to seniors. Among the many services she will provide are comprehensive Women’s Health services. Dr. Gagnier earned her B.S. in Human Biology from the University at Albany, Honors College (Albany, NY) before going on to earn her medical degree from the University at Buffalo School of Medicine and Biomedical Sciences (Buffalo, NY). She completed her family medicine residency with the Worcester Family Medicine Residency Program at the Hahnemann Family Health Center University of Massachusetts Medical School, in Worcester, MA. 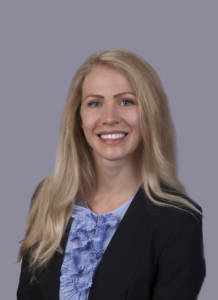 She previously served as chief resident at the Hahnemann Family Health Center, where she was the co-creator of Family Medicine/Psychiatry Interdisciplinary Case Conferences. Dr. Gagnier is welcoming new patients at Unity Family Medicine at Spencerport. Posted August 30, 2018 under _Featured Stories List, Leaders / Managers, Locations, News, Physicians, Unity Hospital, Weekly Beat.